Genie® high reach, rough terrain telehandlers have the reach and performance capabilities to help you increase your productivity on jobsites ranging from new construction of multi-storey buildings to masonry. 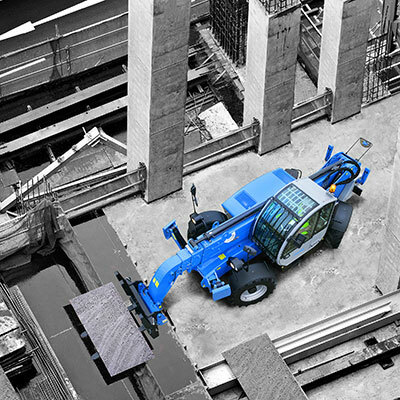 Superior handling capacity, precise positioning and a wide range of attachments available on all models will increase productivity on your worksite. 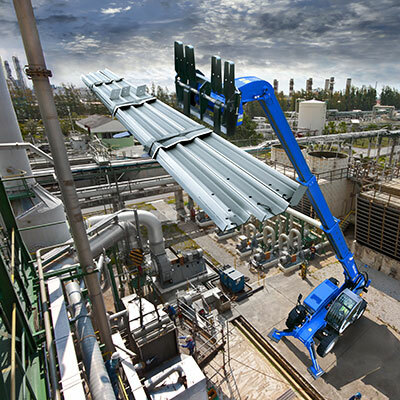 The two high-reach models, the Genie GTH-4014 and GTH-4018, offer lifting heights of up to 13.51 m and 17.61 m; a maximum lifting capacity of 4,000 kg; and a lifting capacity of 3,000 kg and 2,000 kg respectively at maximum height. 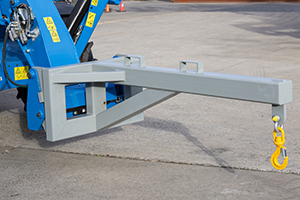 Both telehandler models incorporate a Stage IIIA Perkins engine, streamlined chassis designs for improved visibility from the cab, hydrostatic drive and improved cab interiors. 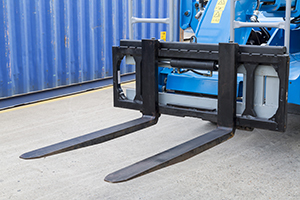 These models are the most compact in their class in terms of overall width and height, as well as boasting a tight 3.55 m outside turning radius, enabling easy manoeuverability in congested workspace within a wide variety of industrial and construction applications. The telehandlers’ long reach, ideal outside turning radius, machine width and excellent driveability allow operators to carry out construction tasks up to five or six floors high with ease or execute jobs such as masonry in confined spaces without issues. 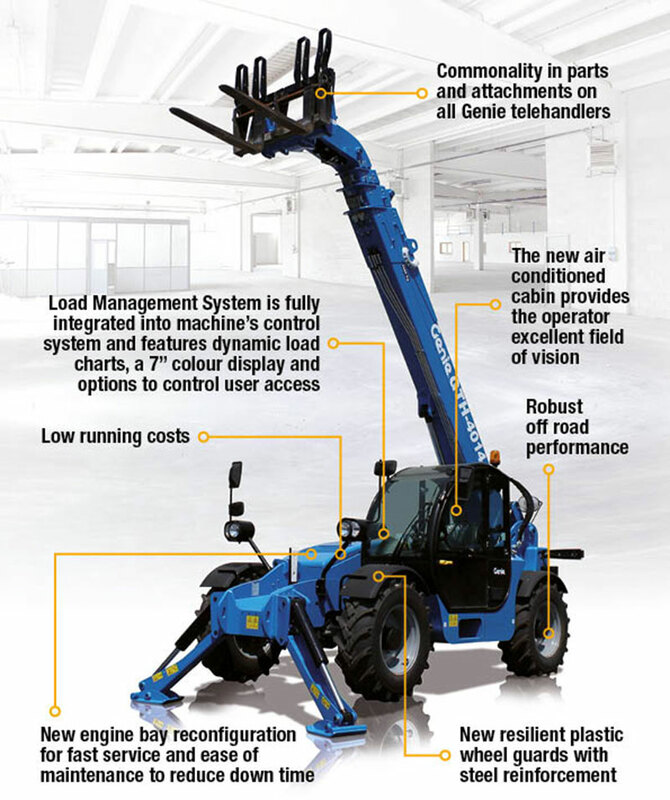 The LMS in the latest Genie high reach telehandlers is more sophisticated than previous models and it has been fully integrated into the machine’s control system. It provides the operator with more information via a dynamic load chart which is presented on a 7 inch colour display. 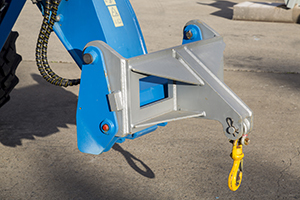 The LMS also includes a reversing camera, optional forward/side camera and optional operator access controls that can be setup to restrict which attachments each operator can select. The LMS can be configured for full operator access or restricted access via a 4-digit PIN code or a unique electronic key. 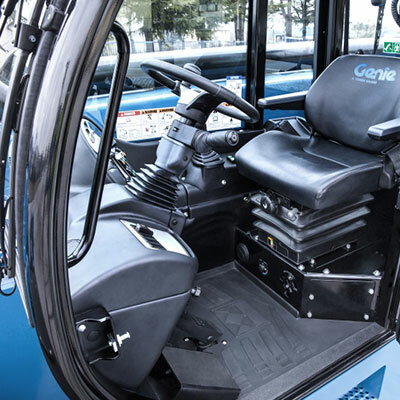 The redesigned cabin includes an air suspension operator seat, improved joystick ergonomics, a tinted top view front window, a large glove box, a manual holder inside the door, plus an integral air conditioning system to optimise operator comfort. The Genie high reach telehandlers have the lowest cabin in their class which offers a more pleasant working environment and the electronic controlled engine and improved hydraulics combine to create more responsive controls. 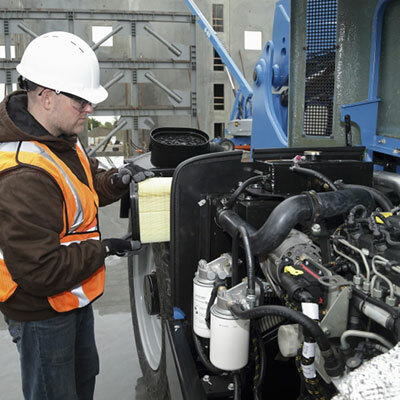 Focusing on jobsite safety, excellent visibility from inside the cab provides operators with the wide field of vision they need. 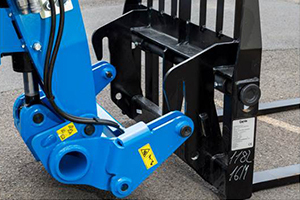 Whether acquired by rental companies or the end user, the new telehandler models provide easy access to their components for daily inspections and maintenance work. The engine compartments are also simply laid out and easily accessible, with durable front and rear lights protected by metal grills, along with a dense and frost-resistant rubber fender and durable steel fenders. The valve bank, the fuel tank, the radiator, filters and greasing points are easy to access. Even the engine covers are designed to open at just the right angle and the engine tray is easy to remove. Other improvements include upgraded load chart parameters, increased manoeuvrability and enhanced drivability over rough terrain. Among other outstanding design features, the axles of the high reach telehandlers are notably equipped with dual disk brakes to combine the advantages of increased braking power with the durability required to operate for long hours in rough jobsite conditions. 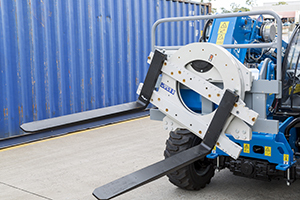 Offering lifting heights of up to 13.51 m, a maximum lifting capacity of 4,000 kg and a lifting capacity of 3,000 kg at maximum height, the Genie GTH-4014 telehandler provides increased lifting performance on outriggers.